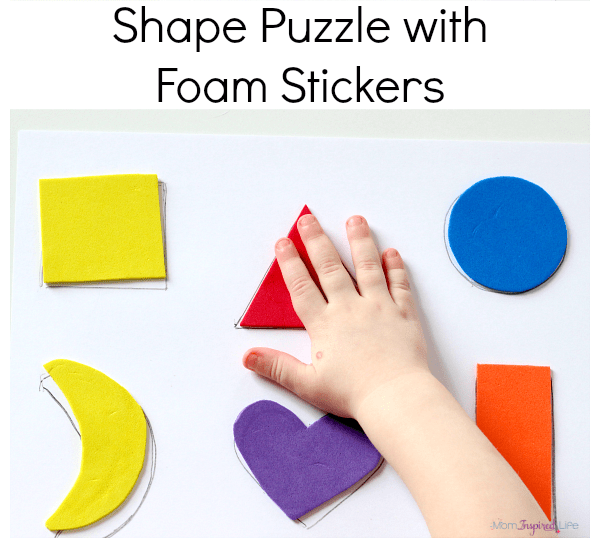 I really like that this shape puzzle with foam stickers works on shape identification and fine motor skills. 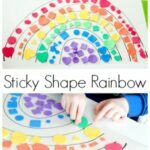 My toddler enjoyed it so much, she asked me to make another one right away. 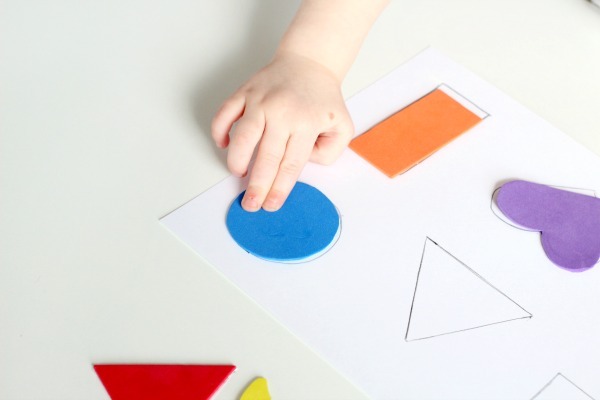 This simple activity only take minutes to set up and is perfect for teaching toddlers shapes while developing their critical thinking skills and fine motor skills. 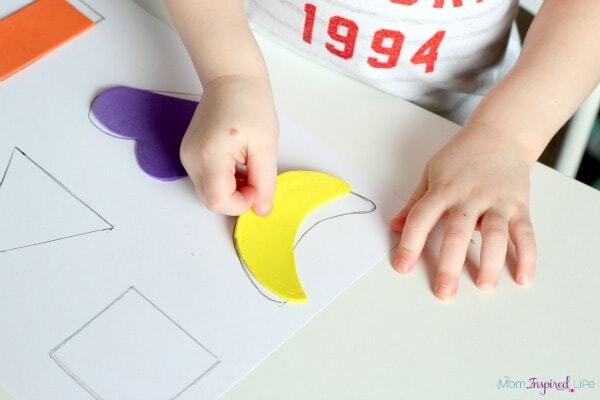 This puzzle can be totally customized for your child. You can make any shapes you want and you can make them as large or as small as you want as well. 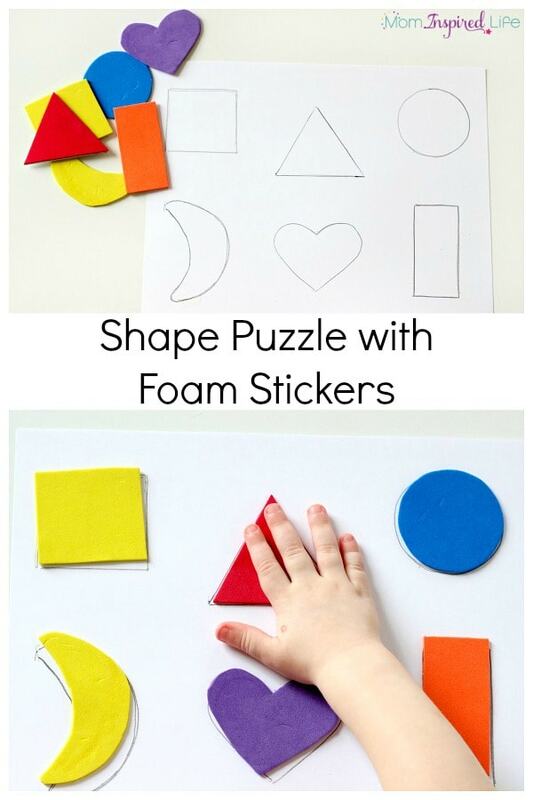 Draw shapes on the back of the craft foam. 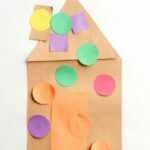 Trace the shapes on the sheet of cardstock. I placed the shape stickers on the table next to the paper. Then I invited my toddler to peel the backs of the stickers and match them to their spot on the paper. She immediately knew exactly what to do and got started. It was a bit of a challenge for her to peel the backs off of the stickers, but not so much so that she got frustrated. 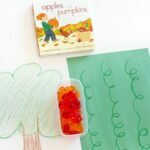 It was the perfect fine motor exercise for her. 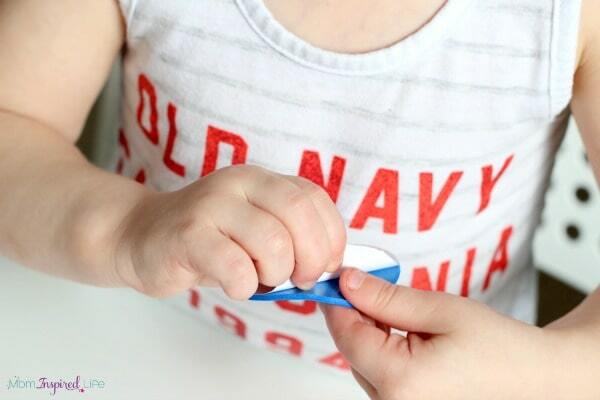 She then looked for the spot to place the sticker down and stuck it to the paper. 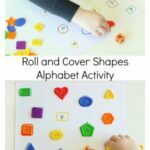 This was a great way to practice eye-hand coordination. 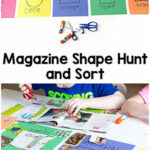 While she did the puzzle, I made a point to say the name of each shape so that she could begin to identify them by name. She enjoyed it so much that she immediately asked me to make another one for her! 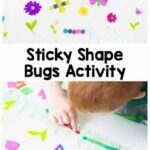 Here are some more fun foam sticker activities!